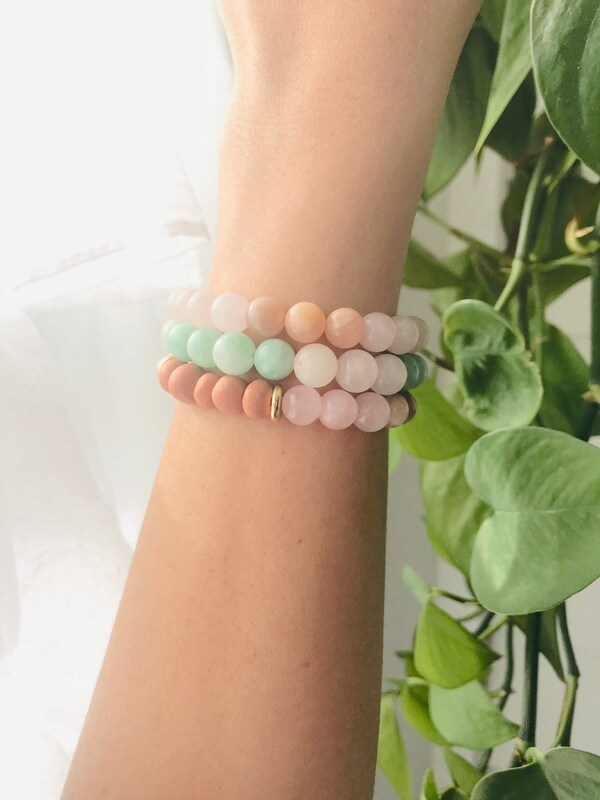 Each diffuser bead is hand sculpted using earthenware clay in Asheville, North Carolina. 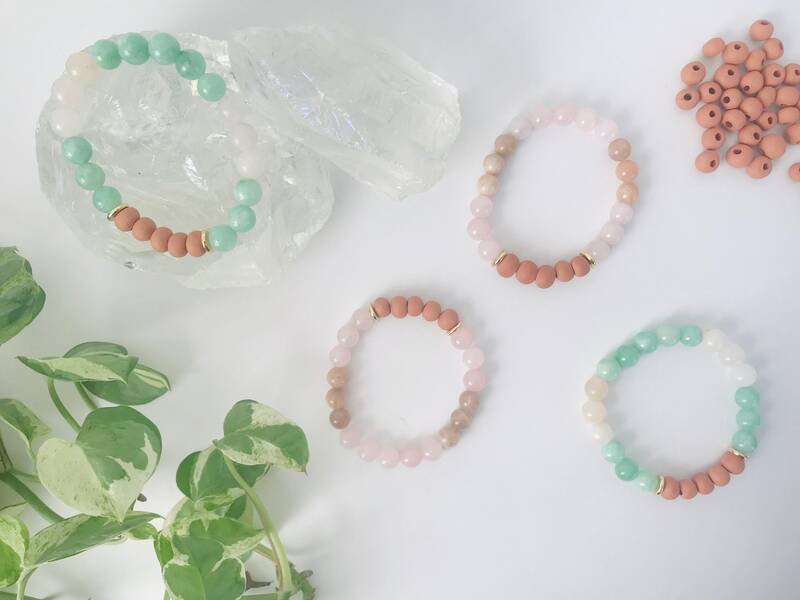 These diffuser beads are made by hand rather than machine, making them super unique so that each bracelet is slightly different from the other. 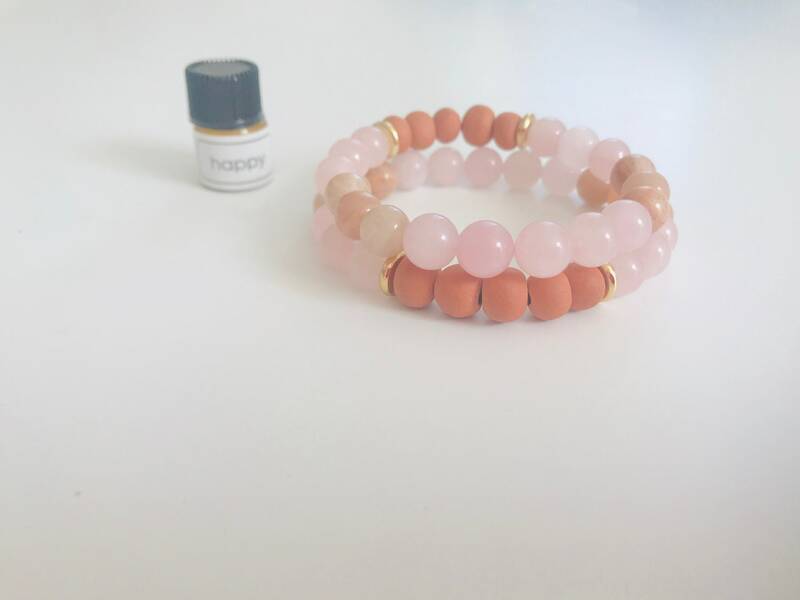 Each bracelet comes with a 1ml amber glass bottle of a 100% pure essential oil blend entitled 'Happy'. 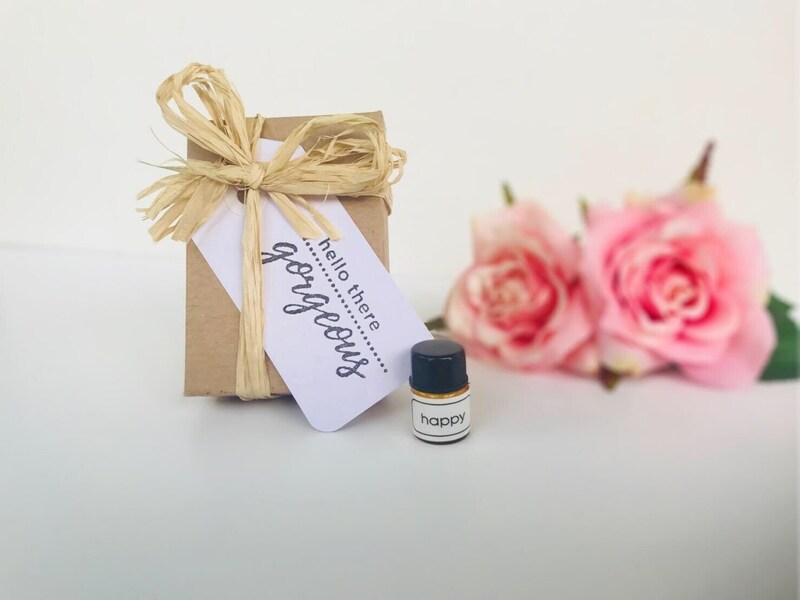 The oils are organic, free from synthetics, contaminants, cheap fillers, and unethical production practices. 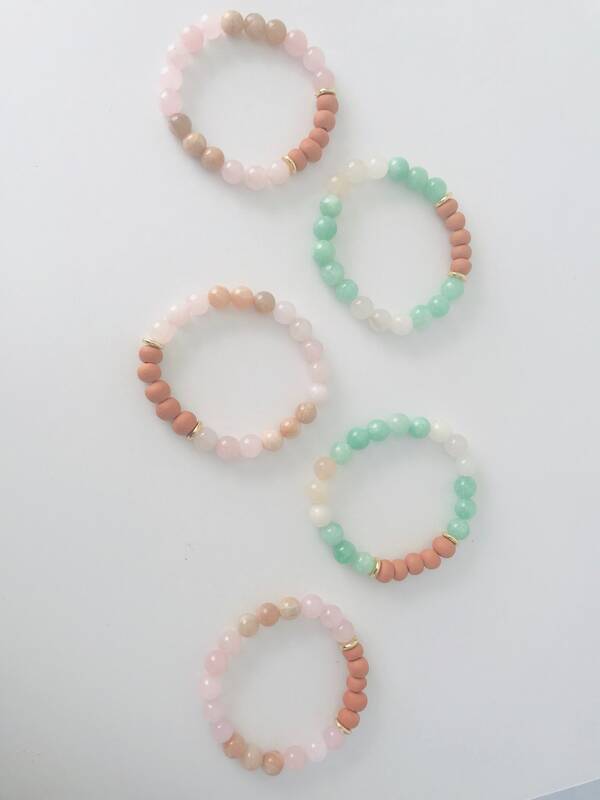 These bracelets serve as great gifts for yourself or a loved one. I have created them for special occasions such as birthdays, anniversaries, Valentine's, new mom gifts, thank you gifts, and bridesmaid gifts. 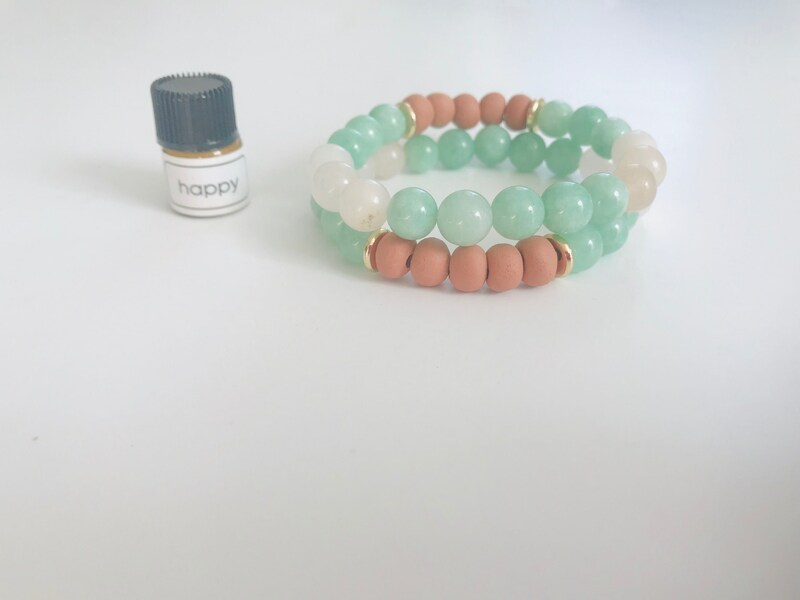 -Sizing: This bracelet is made with strong and durable stretch chord. 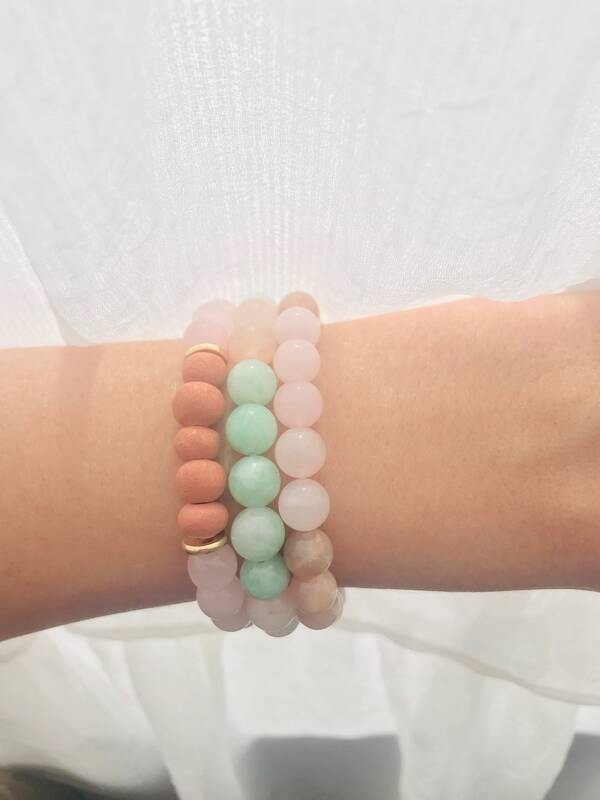 The length is 7.5 inches which fits most women's wrists when using stretch chord.